The time of year where nerdom and beerdom can unite as one! 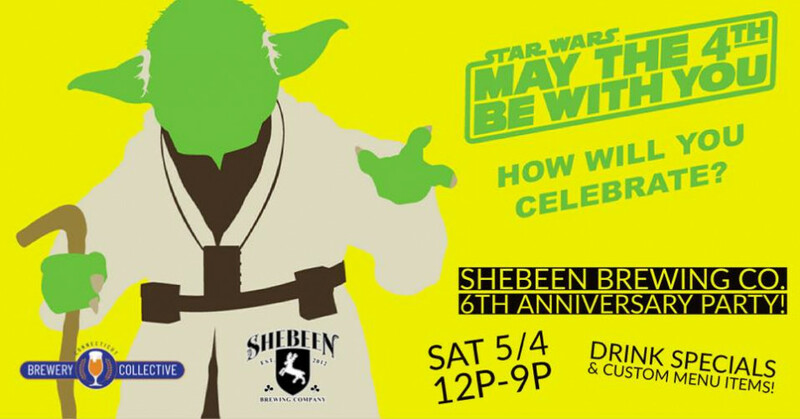 Come down to The Cantina at The CT Brewery Collective for an out of this world day of brand new beers on tap, special “blue milk” cocktails, live music, and an endless amount of Star Wars themed everything. No cover. Unless you don’t think Han shot first.